Posted December 22, 2015 by - filed under Foundation Repair. Foundations can often exhibit problems in the form of crack patterns. Different types of settling and other foundation issues often exhibit themselves with vertical, stair-step, or horizontal cracks. Different types of crack can indicate what kind of foundation issue your home may be facing, and in turn what types of foundation repair you will need. Among the most common types of foundation cracking are stair-step or diagonal cracks. These often exhibit themselves in masonry, following the mortar between bricks. These cracks often point to a portion of the foundation, such as a corner, that is settling or sinking in relation to the rest of the slab or blocks. Expansive soils are one of the main causes of both settling and heaving, and the cause is almost always moisture-related. Too much or too little water in the soil can cause it to expand or shift away, and your foundation will follow. Many types of block foundations can have minor cracks that are not of major concern, but if you do notice a new crack or one that appears to be expanding, contact USS. Stair step cracks are seen here in this basement wall, which indicates the foundation is settling. Large vertical cracks are a sign of a serious problem. There are several different types of vertical cracks, and they can mean different things depending upon your foundation material. 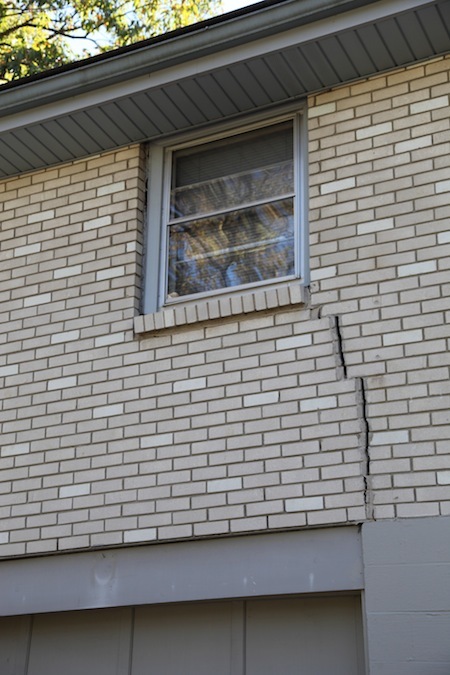 Smaller, hairline vertical cracks can happen directly after building a home due to initial settlement. While it is still a good idea to have a professional inspect any foundation cracks, these cracks are generally minor. Wide cracks, especially with varying widths at the top or bottom, point to serious issues that need to be seen to immediately. Vertical cracks can be a sign of foundation settlement. 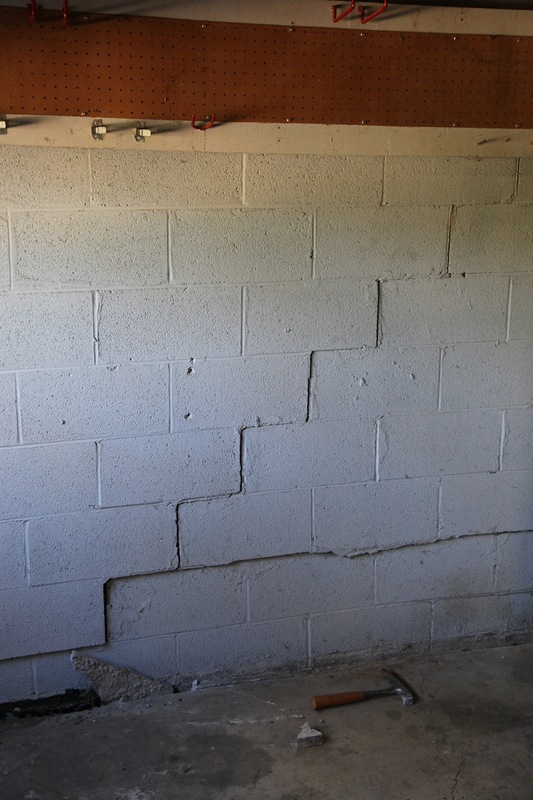 Horizontal cracking low on a foundation wall, visible in a basement or crawlspace, indicates that the pressure of the soil is causing foundation to buckle inward, and may indicate an impending collapse. These types of cracks will require repair and the foundation itself will need support. Horizontal cracks can be a sign of foundation settlement. Its important to have your foundation inspected at the first sign of cracking in order to distinguish what type of foundation movement is occurring. Shrinkage, expansion, and settlement all have different repair approaches. United Structural Systems can analyze your foundation and provide the right residential foundation repair measures that solve your current problem while providing preventative care. Contact us, or call us at (615) 227-2275 to schedule an inspection.